London: Methuen, 1952. Light foxing to endpaperselse clean and tight. VG+ in VG+ priceclipped dj.. First Edition. Methuen, 1974. Pages: 216; Weight: 1lb 2.7oz; Size: 8.7" x 5.9" x 0.9". Jacket is price clipped, worn at the edges and sunned on the spine, spine is slightly cocked, otherwise clean, unmarked, tight. . Very Good. Hard Cover. . . .
London: Methuen, 1952. 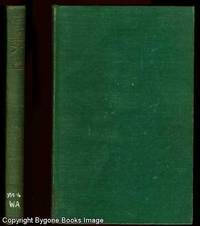 Bound in green cloth with gilt title to spine. Spine with a slight lean and top corners with a very light bump. Dust-jacket with slightly darkened spine, tiny tear to top edge. . First Edition. Cloth. Near Fine -/Near Fine -. 8vo. Methuen & Co, 1974. This is an ex-library book and may have the usual library/used-book markings inside.This book has hardback covers. In good all round condition. Dust Jacket in good condition.